I am completely loving this series. I adored book 1 and raved about it in my review last year so I was both eager to get my hands on book 3 but also apprehensive as it had been a year since i read the first book, and I wondered how I would now connect with book 2. I needn't have worried as the moment I opened it and started reading the first page, I was right back in to the story. Now that we know just how corrupt the library is, and that there is a figurative axe above the heads of Jess, Scholar Wolfe and Jess' fellow recruits, it was hard not to feel the air of malice and mistrust dripping off every page as the characters constantly worry about whether they are making progress in their mission or are heading for a trap. The pace of the story worked well with a good mix of action, character interaction and story progression. I also loved Ms Caine's world building. 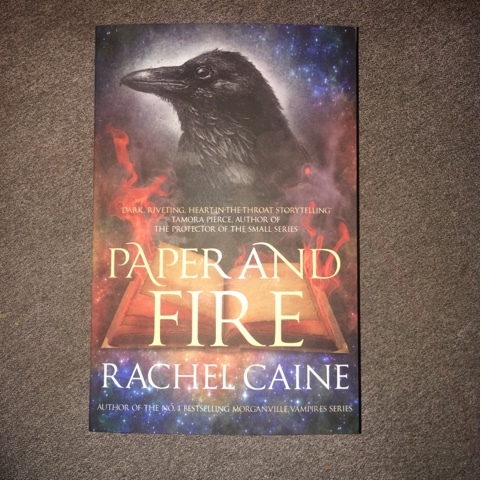 The mix of old and new due to the library holding back or suppressing certain technologies made for an interesting world and Ms Caine's writing painted vivid pictures of the main locations of Alexandria, London and others to make the reader feel like they are really there in the moment. In a world where Knowledge (and the library) hold all the power, things like religion and technology have not made their mark as strongly and Ms Caine reflects this wonderfully in her world building, which gives the story all that much more authenticity. 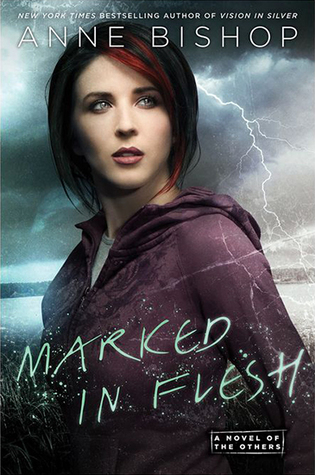 I also think I love pretty much all the main characters in this book; Jess, Glain, Khalila, Scholar Wolfe, even Dario. They are also drawn so vital and alive and real, that you cannot help but connect to them. 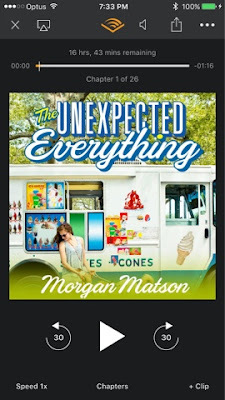 The only one I had trouble connecting to in this book was Morgan but that cpould be a by product of the estrangement between jess and Morgan and the beginning of the book as Jess struggles with his guilt about being the one to put Morgan in the Iron tower. Overall, I was just as riveted in book 2 as I was in book 1, and the story just keeps getting better and better. I cannot wait for book 3. I am super super excited to announce that I have been chosen as one of the advocates for the compelling Bone Season Series by Samantha Shannon. 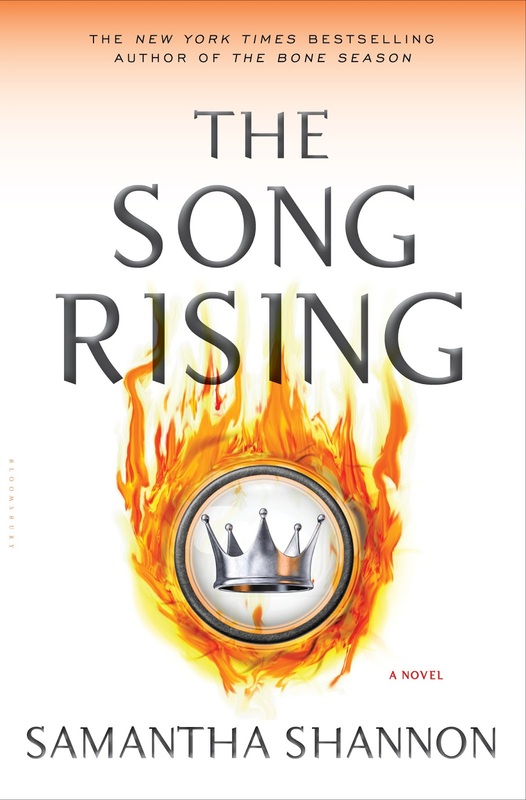 I have been a huge fan of this series since I first reads books 1 and 2 last year, and feel truly privileged to be able to bring to you exclusive content and updates on both the next book, The Song Rising, due out in March 2017 and the rest of the series in general. 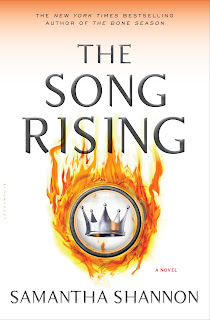 This series is one of the most original series I have encountered in a long long time and I cannot tell you how impatient I am in awaiting the release of book 3. The world building is incredible, the characters vivid and real, the story line gritty, compelling and unforgettable. 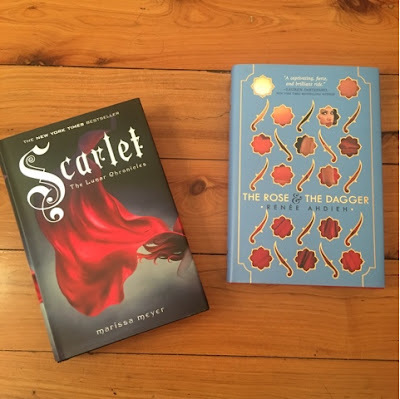 Please note there will be spoilers to books 1 and 2 in the below post. 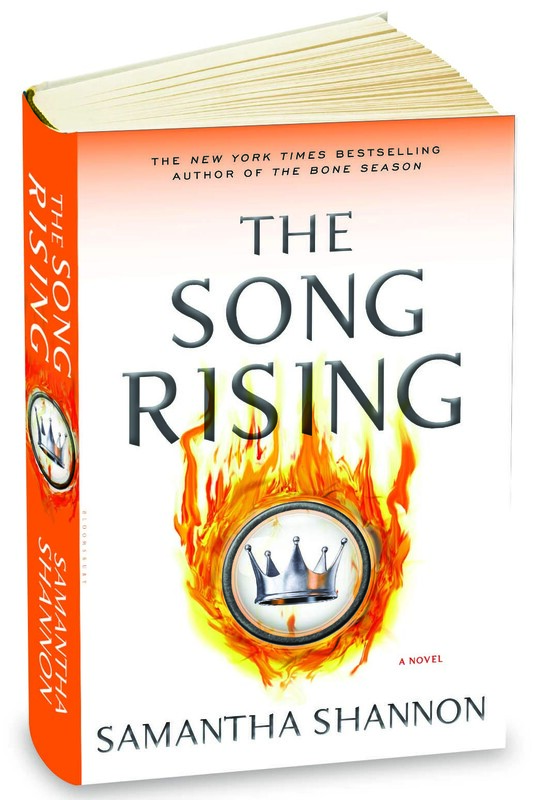 Today's special treat is a is an exclusive prelude to book 3, The Song Rising. 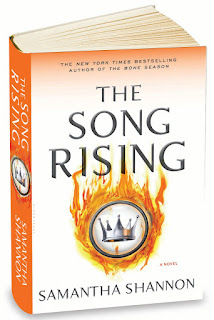 At the end of book 2, Paige Mahoney has won the fight to become Underqueen and goes to confront Nashira Sargas by possessing one of the guards. However another surprise finds her there. I let out my first breath since laying eyes on him. always believed you could be saved from their indoctrination. citadel, someone had touched my body. scare me, he would have to try harder. cape, back into the æther’s embrace. ‘I’d rather burn,’ I said. front. I had to get out, get air into my lungs . . .
out of living in their shadow, not their arms. enemy, a vital asset to the anchor. I will find other allies, he had told me after the scrimmage. Be warned: you have not seen the last of me. against his throat, but I’d been too weak to cut. A very old ally, Nashira had said. One who returned to me . . .
after twenty long years of estrangement . . .
hunched over the water, holding myself. I have decided to return to my roots. or if the Sargas had allowed him to take me away . . .
that my instinct was right. He wasn’t just a traitor. He was the traitor. his freedom from the Rephaim. The man who had left the scars on Warden’s back. had left behind in the colony. And I had been his mollisher. His right hand. I had to tell him. I couldn’t carry this knowledge alone. Silence. I realised I was shivering. body’s puppet, caught in a thousand strings. him, just as it had on me. A fire entered his eyes. 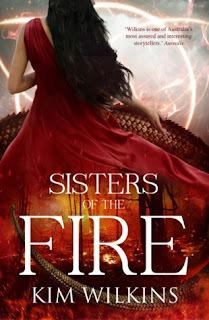 I do believe I liked Sisters of the fire even more than Daughters of the Storm. And I adored Daughters of the storm. This book takes up the story 4 years after the end of book 1. All 5 sisters and their offspring are spread across Thrysland and Bluebell hears that one of her sisters has the trollblade that can kill her and she is determined to her her hands on the sword before it gets her. Again, from page one I fell headlong in to the story. 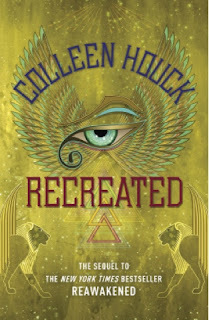 Each sisters thread was spell binding as the next and drew me ever deeper into the story. the way the threads are pulled and weaved is genius with each on pulling the reader ever towards the end. I love Ms Wilkins storytelling. She manages to weave this extremely intricate yet seemless story that with characters that are so well drawn they leap off the page in all their flawed brilliance. I was invested in each and every one of them in one way or another and they really added and extra layer to an already riveting story. 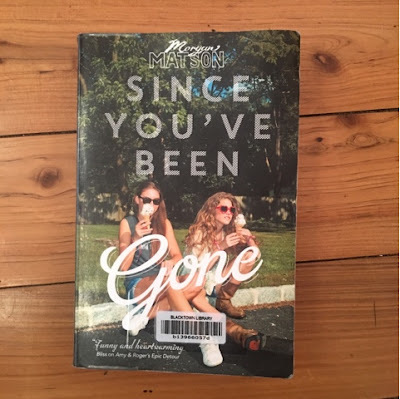 This book is full of secrets from beginning to end, the sisters and other characters have secrets from each other and from those around them, even from their selves and they way ms Wilkins slowly reveals these secrets and the consequences of their revealing is nothing short of perfection. This book really advances the series whilst still leaving the reader with a sense of satisfaction with the end of this book. This book is a perfect mix of action, romance and fantasy with well developed characters and a story that will keep you glued to the pages from beginning to end. This is Australian fantasy writing at its finest and I give this book 5 stars! 4. Share the title & author, too, so that other TT participants can add the book to their TBR Lists if they like your teasers! "'Someone calling Snowy has sent for you from Nether Weald. He says it is urgent.' Bluebell frowned. 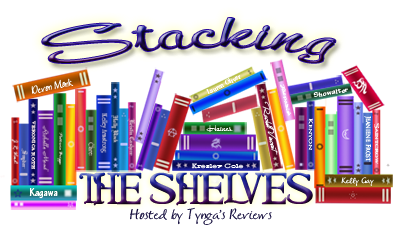 Snowy had never sent for her, let alone urgently"
Welcome to Stacking The Shelves! 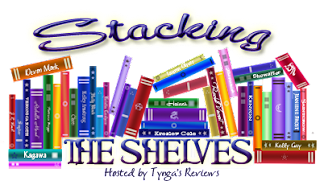 Stacking the Shelves is hosted by Tynga Reviews and is a meme to share those books, both print and e-book, that have been added to your shelves in the last week/s. I know I said last week that this will be a monthly event rather than a weekly one but after receiving a few titles this week decided I needed to do another stacking the shelves post before September started. Two ARCs via netgalley this week. Including one that I am participating in a blog tour for. Come check out my Tour Stop for Keeping her Secret on September 6. This isn’t my Jack, who once looked at me like I was his world. The guy who’s occupied the better part of my mind for eight months. This is Z, criminal hacker with a twisted agenda and an arsenal full of anger. I’ve spent the past year trying to get my life on track. New school. New friends. New attitude. 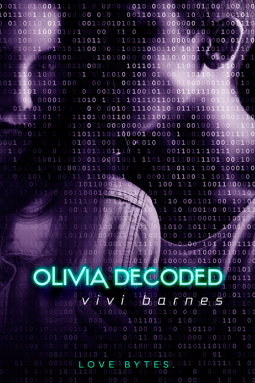 But old flames die hard, and one look at Jack—the hacker who enlisted me into his life and his hacking ring, stole my heart, and then left me—and every memory, every moment, every feeling comes rushing back. But Jack’s not the only one who’s resurfaced in my life. And if I can’t break through Z’s defenses and reach the old Jack, someone will get hurt…or worse. So what did you add to your shelves this week? In terms of books for review, I have really been trying to limit what I request to things I absolutely want to or must read so as to limit the amount of DNFs and books that I just run out of time to read. I have also spent the month going through my TBR list and reading a lot of books that have been sitting on my shelves, literally, for a year or more. I have joined a number of reading challenges on Goodreads also that focus on reading and reviewing as well as choosing books to read that fit certain categories or certain tasks and I am having a lot of fun. 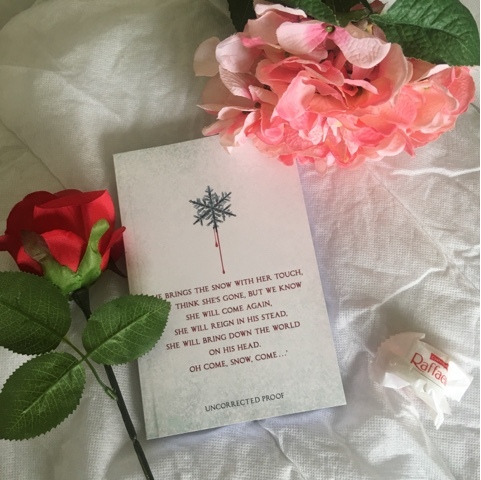 A wonderfully icy fantastical romance, with a strong heroine choosing her own destiny, Danielle Paige's irresistibly page-turning Snow Queen is like Maleficent and Frozen all grown up. Gemma has been in and out of hospitals since she was born. 'A sickly child', her lonely life to date has revolved around her home, school and one best friend, Alice. But when she discovers her father's connection to the top secret Haven research facility, currently hitting the headlines and under siege by religious fanatics, Gemma decides to leave the sanctuary she's always known to find the institute and determine what is going on there and why her father's name seems inextricably linked to it. 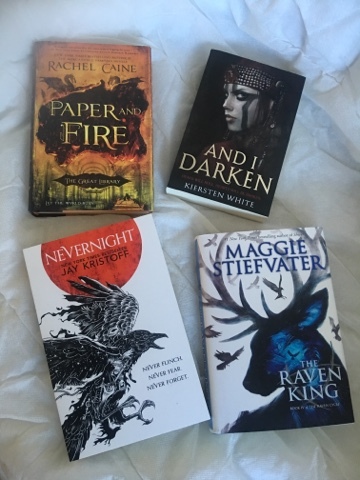 I had a pretty awesome book mail month this month with some awesome titles arriving/being purchased all in the space of a week. I was even lucky enough to attend the Sydney Nevernight launch and have my copy signed by Jay Kristoff! I read the first book in this series at the beginning of the year and really enjoyed it so I was looking forward to this read. I started it with great excitement and whilst overall I did mostly enjoy, I am sad to say i didn't enjoy it as much as I enjoyed awakened. Whilst Reawakened is a story about lily and Amon, this story is mostly about Lily and her journey to rescue Amon who has ended up in the netherworld as a result of the events at the end of reawakened. As the holder of Amon's heart scarab, Lily is still intricately linked to Amon and needs to use this link to rescue Amon from the netherworld otherwise Chaos could be allowed back in and potentially destroy Lily's world. 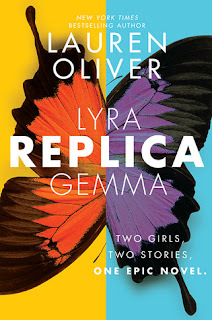 I think my biggest problem is that I had trouble connecting with Lily in this book and i felt the beginning of the book with the random visit to the nana in Iowa so she could leave to save Amon didn't make sense to me. I mean she is told that if all goes well, it will be as if she never left so why did she need to go to Iowa to be able to do this. The visit itself seemed quite out of character of either the Lily from the beginning of book 1 or even from the end. 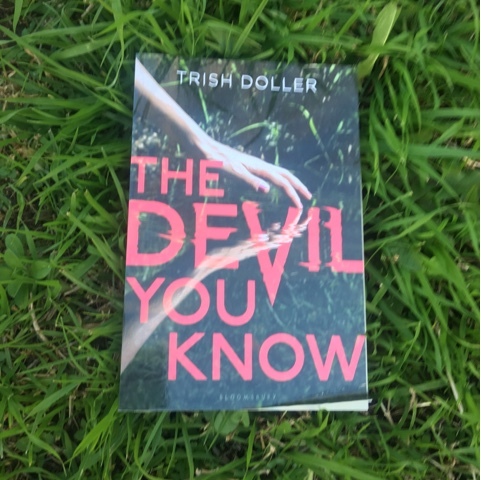 That aside my connection with Lily was haphazard at best as Lily went through all the trials to get to and be ready to enter the netherworld, I found the pace a little frustrating and at times the story struggled to hold my attention. It sometimes seemed like the author was trying to weave some threads that would be needed later in the book, but at times they just seemed confusing and made the story that little bit harder to get through. The second half of the book moved a lot better than the first half in my opinion. Some of the earlier threads started to come through and make more sense and the story itself seemed to flow that little bit better. I felt the addition of Asten and Ahmose to the story and finding out more about their roles in the afterlife when their bodies are sleeping added a lot to the story as a whole and helped to fill out the world building of the story in general. I though the last 20% of the story got quite exciting and I devoured it pretty quickly and overall I was left with the feeling and the need to see what happens next in this series. So I will definitely be reading book 3. Overall I did enjoy this book even if I did struggle for a while in the middle. I felt the world building and attention to detail in regards to the ancient egyptian mythology was stronger in this book and this really solidified the story for me. I look forwrad to seeing how this all plays out in book 3. The second book in Colleen Houck's Reawakened Series, where Lily must now not only travel across the globe, she must enter the Netherworld (hell), to save the love of her life, Amon. If Lily thought traveling across the globe with a reawakened sun-prince was an epic adventure, she's now in for the journey of a lifetime. Amon has left his sacred duty to the gods and transported himself to the Netherworld, what we know as hell, to live out the rest of his years in agony. He is tormented by the loss of his love, Lily, and wishes to relinquish his obligation to the gods until they can reunite again. 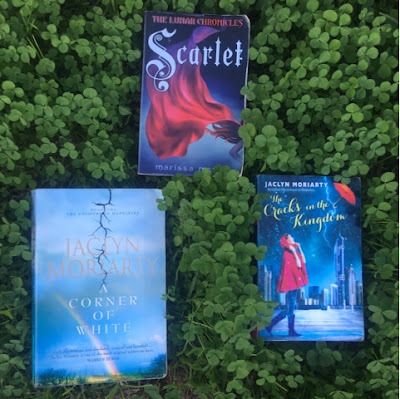 Lily has sought refuge on her grandmother's farm until she must attend the college of her parents' choice, and it is there that she is visited by Anubis, the Egyptian god of mummification, who fills her in on Amon's choice and that she is the only one who can save him. What Lily doesn't tell Anubis is that since she's left Amon she has known something went wrong. Lily can feel Amon's pain and she's been having dreams, dreams filled with Amon fighting awful beasts and crying out in agony. She will do whatever it takes to save him. For his life means more to her than anything in the world, which may not exist if she doesn't bring him back home. "A judgement has been requested and a judgement has been made," Ma'at said "I have judged the heart of the deceased, Amon; the wandering spirit, Tia; and the still living , Lily. Their souls stand as witnesses against them. 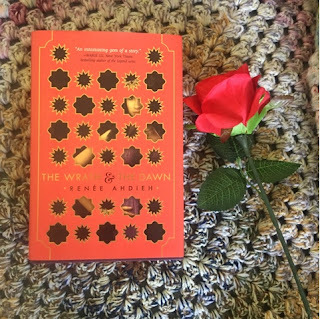 In all sincerity I decree that..."
For some unknown reason and despite the rave reviews and the fact I own a gorgeous hardback copy of this book, I have resisted reading this book and had it sitting on my bookshelf for nearly a year. I finally picked it up this week, despite being not well nor in much a reading mood and fell under its spell. The magic of the tales of the Arabian nights is in this book and Ms Ahdieh weaves the spell from the first page instantly transporting you to the midst of one such tale. I love Sharzhadi as the main character. She is fearless and smart and fun to read about. There is such depth to her character which makes her story so much more real.I also liked peripheral characters Despina and Jalal. I am still not sure what i think of Khalid. I liked the chemistry between Shazhadi and Khalid however. The story itself is one full of action and intrigue and a spell binding tale. Everyone has secrets. Some secrets we as the reader find out quite quickly, others we have to wait for, to earn. The pace of the story is perfect and it flowed divinely. I hung on every word from beginning to end. Is it worth it in the end? I would say a resounding yes though I will also say I am so very glad book 2 is already out because I need it! Now! An extremely enjoyable tale and I give it 5 stars.